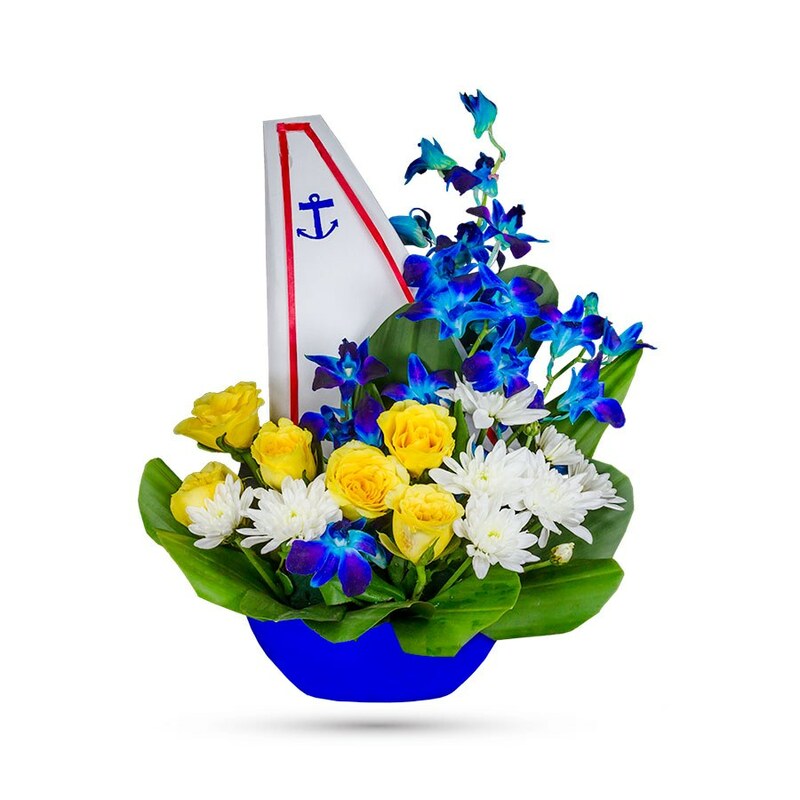 Order this ship full of flowers for your favorite guy today! Fabulous and festive, The Captain will surely be a great guy gift! 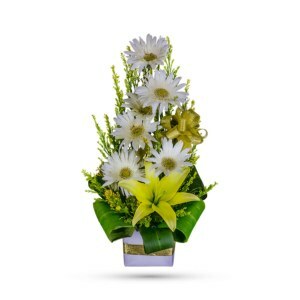 Yellow spray roses, white chrysanthemums, purple and blue hybrid orchids are arranged in a bed of freshly picked garden greens, which are all delivered in a terrific dark blue vase that just happens to come with a mainsail. 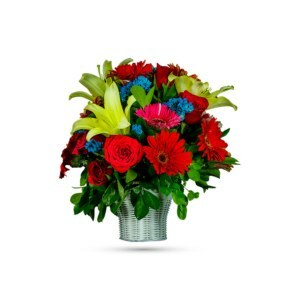 It will make any birthday, father’s day, anniversary or surprise more joyous and lovely no matter what. There are probably a million reasons why this is such a popular bouquet. But of course, there are probably just as many reasons to order this online and get it hand-delivered today. 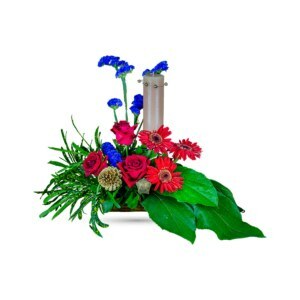 Full of happy flowers, this blue vase will bring smiles for years to come. So, make the magic happen for the captain of your heart today!